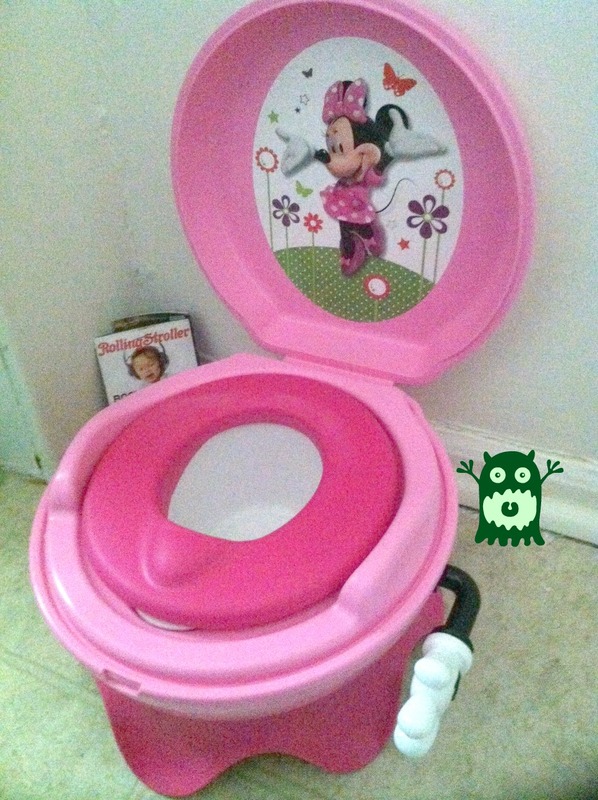 You are here: Home / Thinking / Potty Training Tip – Beware the Fancy Diapers! 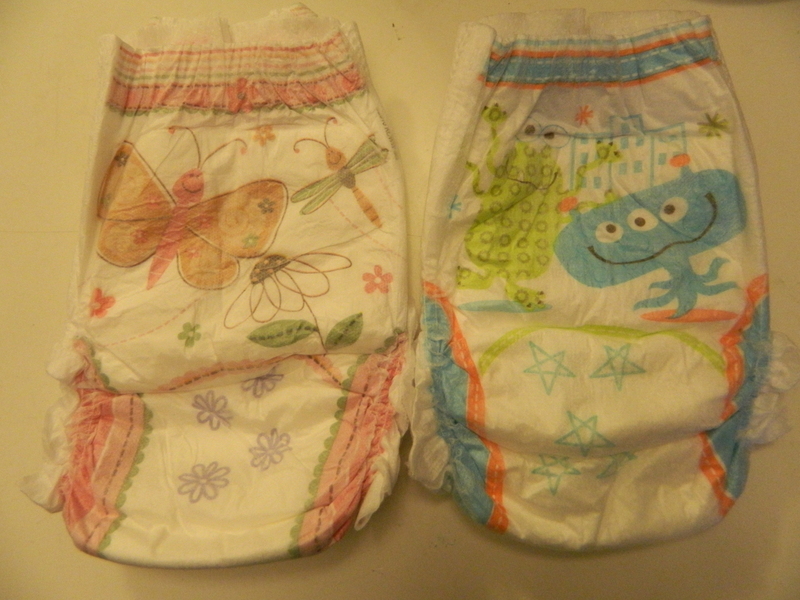 Potty Training Tip – Beware the Fancy Diapers! I later discovered our fancy disposable diaper brand also had a loyalty rewards program with some pretty cool “free” stuff we could earn (with points from our purchases) and I’m a huge sucker for that kind of stuff. So that, plus the fact we had no complaints (no rashes, etc), kept us from switching brands as she got older. 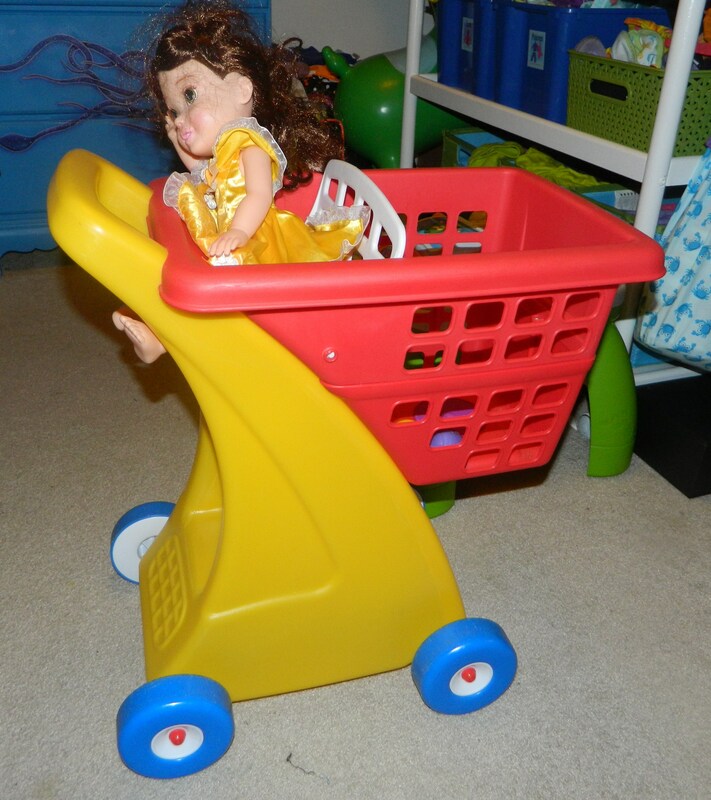 We did eventually get a big plastic Little Tikes grocery cart for “free” which I still find totally awesome (please do not reply with logic about how with all the extra money we could have saved by buying cheaper diapers we could have bought 10 grocery carts – I don’t want to hear it. It was free I tell you, free!!). Then came potty training. Or it should have. We passed her second birthday and her third and still my daughter had no problems being wet or poopy. Like no problems whatsoever. She would have stayed in one diaper for the rest of eternity if left to herself. As I scoured potty training guides and parent manuals, many said the first step was for your child to show readiness, meaning discomfort being wet or soiled, or at least notifying you in some way before or after. Of course this is all usually supposed to happen a lot sooner too. We got nothing. I might have tried the “run naked and free until you feel pee dribbling down your leg” method but we have carpet throughout our house so I stuck that in the last resort file. I also read that rushing potty training can seriously backfire (constipation, taking longer to train overall, etc.) so I just kept telling myself, it’d be fine, no one goes to prom in diapers. We decided to move our daughter into Pull-Ups even before she was “ready” to potty train because 1. she was too big for the changing table, 2. we wanted to associate the changing table with babies, like her brother, not big girls like her and 3. we wanted her to get in the habit of pulling her diaper on and off by herself. But we stuck with our expensive brand out of habit. I tried giving O lots of liquids and asking her to try to use the potty every 10 or 15 minutes but she would go in her diaper directly before or after sitting on her potty. I tried demonstrating for her. I even tried a different potty that mounted onto the big toilet. Still no success. I think she knew exactly what I was asking for, but her body wasn’t cooperating; it just hadn’t clicked yet. CVS brand pull up diapers. AKA not fancy. Then we went to a CVS I’d never been to before due to a mix-up with a prescription at the pharmacy. I have a secret love for drugstores like Walgreens or Rite Aid; stores where there’s a little bit of everything and you never know what you’ll find, and where there’s always a holiday section filled with cheesy adorable themed knickknacks you don’t need (I always end up buying 1 or 2). While living in Boston, I discovered that very CVS is different, so I’d always wander the aisles whenever I was in a new store or just had time to kill (this is all related, I swear). While wandering this time for new and interesting products I didn’t know I needed, I noticed a super sale on the CVS brand pull-ups and I swear a light bulb clicked on above my head. What if the super plush, super absorbent, fancy diapers were part of the problem? What if she needs a flimsy, cheap diaper to feel that she’s wet and that wet is not good? What if she needs an uncomfortable diaper to motivate her to switch into comfy cotton undies? I still had fears about leakage but the sale was enough to prompt me to give it a try. Wait… what are my design options? Adorable alien monsters and/or pink butterflies? Ok, Sold. It was like magic. Once we started wearing the cheapy diapers, O started telling us when she wet her diaper. So we started regularly asking her if she had to go, or to just sit and give it a try, and finally she successfully used the potty. I went the bribe route by offering m&ms for every attempt which worked sometimes but O was still going in her diaper frequently. The turning point was when she had 2 total leak-through accidents within 2 days (something that would never have happened in her expensive pull-ups) and suddenly the switch in her brain flipped. She’s been using the potty like a pro ever since. She has actually requested to wear her undies at night too and has stayed dry (5 nights and counting!!). So there’s my cautionary tale. Should have saved this post for Halloween, haha. Beware!! Great tip:) We have our daughter in expensive organic disposables because of problems she had a while back with really bad diaper rash. Your story is a cautionary tale for us! (and another reason, besides the expense, that we may want to reconsider our diaper approach).